Heads up: Chikorita will appear more frequently for three hours this Saturday. It’s that time again, Pokemon fans. 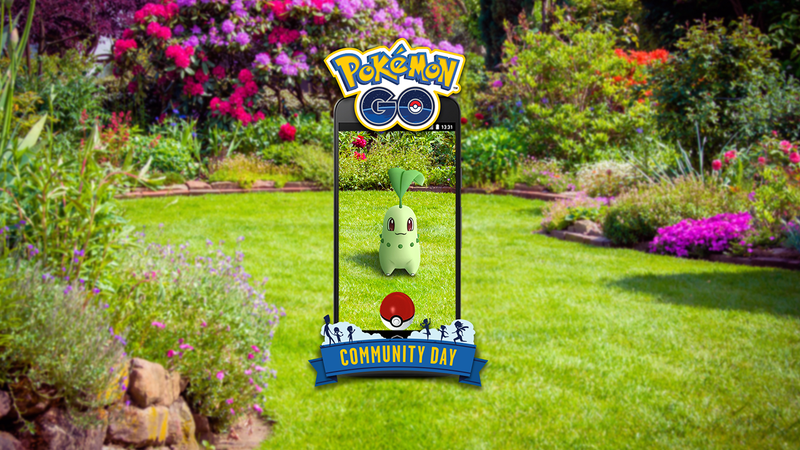 September’s Pokemon Go Community Day is this Saturday, September 22, giving players a chance to encounter more Chikorita than normal from 2 p.m. ET to 5 p.m. ET. Chikorita is a Grass-Type Pokemon that was one of the three critters players could choose from as their first Pokemon in Pokemon Silver and Gold, which were released on Game Boy Color in North America in 2000. Chikorita has two evolutions. You’ll need 25 Chikorita Candy to evolve it into Bayleef, and another 100 Chikorita Candy to evolve Bayleef into Meganium. Each time a Bayleef is evolved into Meganium during this event, it will learn the exclusive battle move Frenzy Plant. During this event, players will earn three times the normal amount of experience points when they capture Pokemon. Lure Modules will also remain active for three hours if they’re activated during this event, rather than the standard 30 minutes. Lure Modules can be attached to PokeStops to lure wild Pokemon to that location. Finally, remember that every Pokemon Go Community Day so far has given players the chance to encounter a rare shiny form of the starring Pokemon. It’s likely we’ll be able to capture shiny Chikorita this weekend, so be on the lookout for them. While you’re searching for Chikorita this Saturday, make sure to watch out for the special Mewtwo Raid battles taking place at Pokemon Gyms as part of the game’s Ultra Bonus event. Since players worldwide fulfilled all of the challenge requirements during Professor Willow’s three Global Challenge events this summer (Pokemon Go Fest in Chicago and the Safari Zone events in Dortmund, Germany and Yokosuka, Japan), Mewtwo is now appearing in Raid battles for the first time ever. Previously, Mewtwo could only be encountered by players who received invites to special EX Raids. Now, this requirement has been removed, and everyone will have a chance to add Mewtwo to their collection. Mewtwo will appear in Raid battles until October 23 at 4 p.m. ET.